Hello and welcome to Hoolabalu. 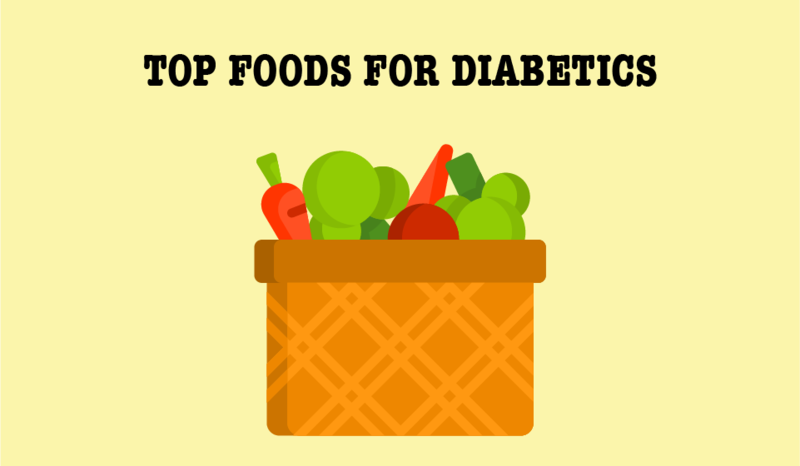 Eating healthy is the key in managing diabetes. But let’s be honest, it is not always easy to make the right food choices with a busy lifestyle. However, making small changes to your diet will help improve your overall health. In today’s video, we will take a closer look at some of the top plant based whole foods for diabetics. Turns out that Popeye didn’t guzzle all that spinach for no reason. Not only is spinach low in calories and carbohydrates, it is also particularly high in magnesium, a mineral that can help regulate blood sugar. A recent Swedish study reports that an antioxidant compound found in broccoli, called sulphoraphane, can help lower blood glucose with type 2 diabetes. Broccoli is also a great source of vitamin C, potassium and fiber. When it comes to meal planning for diabetics, not all potatoes are the same. Avocado is one of the best sources of healthy fat in a plant-based diet, diabetic or not. It naturally contains over 80% of good fat, of which 10g comes from monosaturated fats and 2g from polyunsaturated fat per 100g serving. Lentils, chickpeas, beans, and peas, are all considered part of the legume family. This food group makes an excellent choice to include in dietary management as it may help controle blood glucose levels. This is because it is rich in protein, calcium, potassium, magnesium and fiber. Nuts are great snack options for diabetics as they are loaded with fiber and protein. They are also filled with high levels of healthy fat, which contribute to “good” cholesterol. It is crucial to keep an eye on your carbohydrate intake if you have diabetes. This ginger-family spice has been used for centuries in Eastern medicine and cooking! It is known for pain relief, improving digestion and for its antioxidant and anti-inflammatory properties. Curcumin, the active component in the spice may be the source of these benefits. Whether you are diabetic or pre-diabetic, the right meal plan will certainly help improve your blood glucose and cholesterol … and also help keep your weight on track. Of course, the food we covered today shouldn’t be the only foods you eat. However, by including some or all of these items in your diet, it will help improve your overall health. If you liked this video, then please share it with your friends; subscribe to our YouTube Channel, and of course like us on Facebook too.